TAKAUD, the specialist provider of savings, investment, and pension solutions for the MENA region, is joining forces with BKIC (Bahrain Kuwait Insurance Company) to protect the people of Bahrain and the GCC and MENA regions, by helping them take better care of their tomorrows. 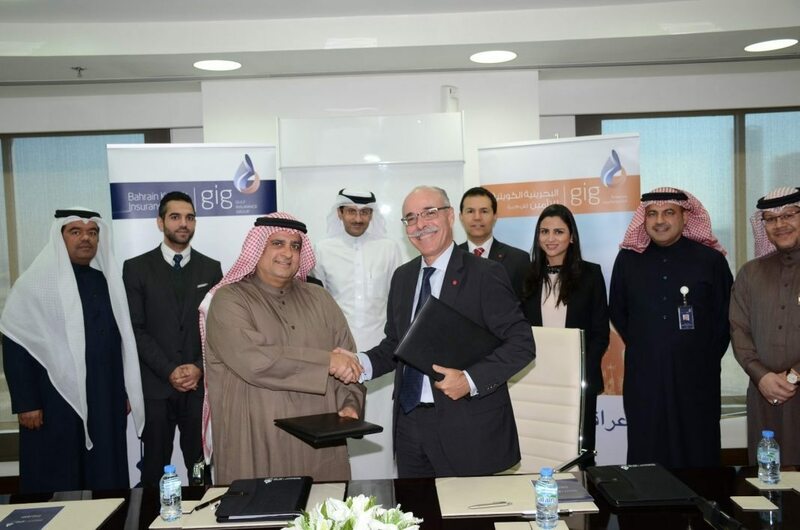 The two Bahrain-based financial institutions have signed a Memorandum of Understanding (MoU) aimed at creating strong synergies between the two institutions, which in turn enhances the customer offerings and experiences for both firms. The partnership will allow both providers to explore areas of cooperation that will enhance their respective customer propositions. The MoU was signed recently by TAKAUD’s CEO Mr. Luc Metivier and BKIC’s CEO Mr. Ebrahim Al Rayes at a special signing ceremony held at the BKIC offices. Areas of cooperation include providing BKIC’s customers with information about TAKAUD smart-saving programs, including Employee Savings Plans for corporations, and Financial Consultancy and Wealth Management services for individuals of all income levels. TAKAUD customers, in turn, will get access to information about insurance products from group life insurance programs for corporations to domestic-worker, house and car insurance for families.